This is an official letter from the Alberta Justice and Solicitor General commending us for putting on the March for Jesus 2012. This is a minister that is reminding everyone that we are not, no matter what position we are in, to forget to confess our God and Savior Jesus Christ before men. Please pray for those in power that they would bow their knees before Jesus and rule the city, province and the country with the truth and righteousness of God. 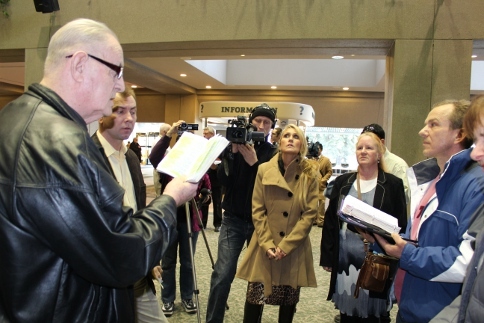 ← Alberta’s new Transportation Minister Rick McIver is going to officially open the March for Jesus 2012!